Growing your own garden in your own back yard, homesteading for a sustainable future. The Dervaes family give inspiration for attaining similar goals. Grow your own vegetables, herbs, fruits? One of the joys of gardening for me is getting my hands dirty, touching the soil, turning it over, planting the seeds, watching them grow, then harvesting and eating the fruits of my labor. I tend my crops as if they were my little children, putting them to bed, feeding them, giving them a warm cozy home to live in, guiding them to the right direction, supporting them when they need it, and allowing them to grow and mature into the ripe delicious beings they deserve to be! I have been following the Urban Homestead – Path to Freedom by the Dervaes family for just about a year now, and the inspiration for my own homestead continues in regular intervals, and today this one was shared on Facebook, and what a motivation. With thoughts of plot expansion dancing in my head for the past week or so, and a recent seed purchase at the local hardware, my spring planting plans are slowing getting put down into pencil and paper, actually pixels on the screen. Never underestimate the power of a pencil, measure twice cut once ring a bell for all you carpenter types? With another doubling expansion of the plot sizes this year, I hope to grow tomatoes, peas, beans, cucumbers, lettuces, peppers, okra, artichokes, blueberries, raspberries, plums, carrots, pumpkins, sunflower, all the herbs from last year including spearmint, peppermint, basil, sage, rosemary, thyme, garlic chives, chives, cilantro, and others. Today the folks at Urban Homestead shared this video and it just goes to show you that with just 3,000 square feet of garden space, you can grow enough food for your family, and enough left over to bring in another $20,000 a year in sales to local chefs. Talk about a low carbon footprint, their food travels an average of 100 feet from farm to table, and they generate most of their own electricity from solar arrays. Their monthly electric bill is about $12.00, and they brew their own bio-diesel fuel to energize their vehicle. All organic farming methods, the Dervaes family has something like 200+ varieties of vegetables, herbs, and edibles. Clay pot irrigation, another inspiring technique the Dervaes family taught me several months ago from their web site, check them out and the great video too! 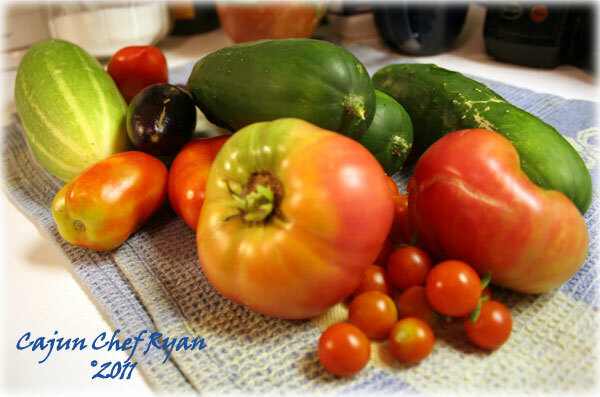 Homesteading…one neighborly plot at a time! Impressive. If only I didn’t have raccoons . . . Incredible! This is so inspiration…what a dream this would be! I just need even a small balcony to get started…. Oh you have read my mind! I would love to get your feedback and help! I’m finally taking the plunge and planting a veggie garden this spring! Nothing better than seeing veggies grow in your own garden..Last year for the first time my veggies started to bloom and than we had big May flood, and everything was gone. :( But will try it again! This post is so interesting, thanks for sharing!!! Makes me feel like the herb garden I just started…is just a start 😉 I already ordered heirloom tomato seeds to expand. Thanks for sharing. Really enjoyed this. Definitely jealous! Last year was my first official gardening year, with only 3 crops (only the green beans really flourished), so this year I’m going to need all the help I can get! Thanks for the Dervaes heads-up! Thanks for sharing! There is something so liberating about growing your own food, no? Since moving to NC, I realize how much a part of the culture it is here, and I love it! Great post! I’m going to start a garden this year. I’ve always done herbs, but am going to do veggies this year. I live in NJ so I’ve got a little time before I can get things going (ice-storm today!) but I can’t wait to see what grows well. Planning to try peppers, cukes, tomatoes, squash and maybe some eggplant. Just have to keep those squirrels aways! We can’t wait to grow our own again…once we dig out from the 80 inches of accumulated snow and ice, that is! Nice, very nice! I’ve started the herbs already. Not sure I can take the veggie plunge this year but would certainly enjoy it! 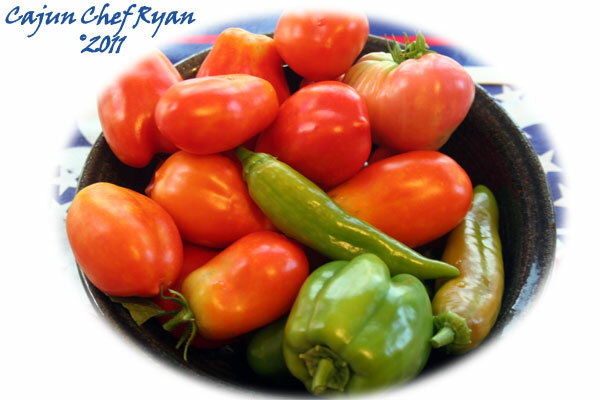 Nothing better than freshly picked veggies you’ve toiled over! Those tomatoes look gorgeous!